Laughter really is the world’s best medicine. Laughter can reduce stress, boost your energy level and strengthen your immune system. 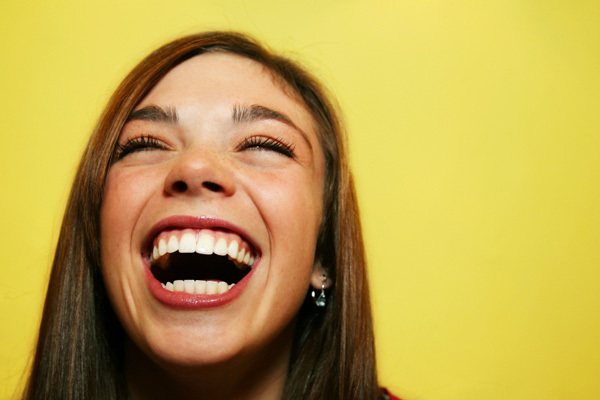 Read on to learn more about the many health benefits of laughter. Laughter can benefit both your physical and mental health, as well as improve your relationships. Laughter decreases stress hormones like cortisol and increases endorphins — the feel-good chemicals in your body. These endorphins improve your mood and even relieve pain. Laughter improves oxygen flow to the heart, brain and other organs, lowers blood pressure and improves circulation — which in turn can help prevent heart attacks, cardiovascular disease and other health problems. Laughter can help your immune system because it increases infection-fighting antibodies and immune cells, thus increasing your resistance to disease. Laughing can also relieve the physical tension in your muscles and joints. The mental health benefits of laughter are numerous. It almost instantaneously improves your mood while also relieving stress, anxiety and fear. Because of the release of endorphins, laughter enhances your emotional balance and overall sense of happiness. Laughter and humor help you shift your perspective and can allow you to see negative situations in a different light. Laughter helps trigger positive emotions and remove negative feelings of anxiety and fear. Laughter can improve your relationships with relatives, co-workers, friends and partners. With humor and laughter, you release inhibitions and express your true feelings more easily. Laughter can also help you become more confident and spontaneous. Additionally, laughing with others can unite people, even in difficult times. It can help you connect, heal disagreements and let go of defensiveness. Laughter can also help you deal with stress and anger, leading to a more positive outlook and attitude. That attitude can help you forge better relationships, both personally and professionally. Put yourself in situations where there are plenty of opportunities to laugh — watch funny TV shows and movies, spend time with friends, hang out with children and take part in fun activities. Learn to laugh at yourself and not take life too seriously. Laughter helps keep things in perspective while benefiting your health in many ways.